The Infiniti QX70 conveys style and grace with its curvaceous exterior and warm cabin appointments. Before Infiniti's wholesale name change, the QX70 was known as the FX. The QX70 carries forward with the same strengths: performance of a sport sedan and an all-around attitude that makes it a standout versus either family-oriented premium crossovers or more truck-like luxury SUVs. 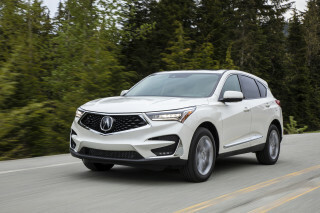 Rival models have included the Acura MDX and now-defunct ZDX, BMW X5 and X6, Range Rover Sport, Porsche Cayenne, and Mercedes-Benz GLE. For 2017, the only changes that have come to the aging but lively crossover are a new grille design and a pair of new paint colors. Infiniti ended production of the QX70 after the 2017 model year. 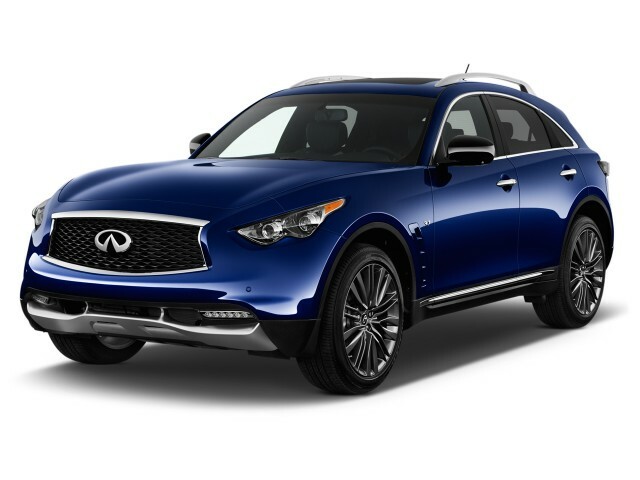 The QX70 is a very sporty mid-size crossover with a striking design. We find it to be one of the more entertaining sport 'utes—both visually and from behind the wheel. The Infiniti QX70 name has very little history behind it, but the model actually goes back a while. Infiniti's current naming convention, adopted in 2014, means model names no longer include a nod to engine displacement, so the former FX37 is now known simply as the QX70. Badges to denote engine displacement—3.7—live on the front fenders. For a full explanation, and a cheat sheet, check out our story on Infiniti's naming strategy, which further discusses these changes. With a 325-horsepower, 3.7-liter V-6 under the shapely hood, the QX70 has strong acceleration. Infiniti used to offer a 390-hp 5.0-liter V-8, but it was dropped for the 2015 model year. That's OK because handling has always been at its best in the QX70 with the V-6 and rear-wheel drive; that's where it feels most like a sport sedan. The QX70 is one of the best-handling crossovers or utility vehicles of any kind, while the 7-speed automatic transmission fits the performance personality, with downshift rev-matching and steering-wheel paddle shifters. The QX70's V-6 is a bit loud and feels somewhat coarse. Compared to other luxury SUVs, the QX70 lets more sound into the cabin. 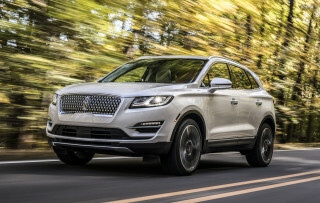 Road noise is notable, with the big tires making themselves known on grooved pavement and uneven surfaces, which can burst the luxury bubble for some. The QX70 has a sleek interior featuring rich finishes and available quilted leather seating that gives it a very upscale feel. Front-seat comfort is top notch, and the view over the rippled hood is higher than a car's but lower than that of some SUVs, a nice compromise. Space in the QX70 is limited in the rear seats as a result of the sloping roofline, and the storage behind is likewise reduced. The high cargo floor doesn't help much, either. 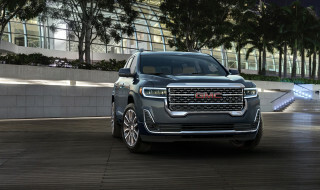 Similar to other slant-back SUVs, sporty style takes precedence over utility. The QX70 comes in just one base model with rear- or all-wheel drive. QX70 models can top $60,000 when you add the contents of the Sport, Premium, Deluxe Touring, and Technology packages. Notable available features include a lane-departure warning and prevention system, adaptive bi-xenon headlights, and a navigation system with an especially good display and interface. 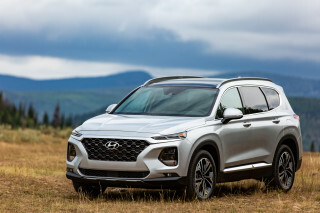 Other standalone options on the QX70 include a rear entertainment system with dual headrest-mounted monitors, roof-rail crossbars, a cargo organizer, and a tow package.